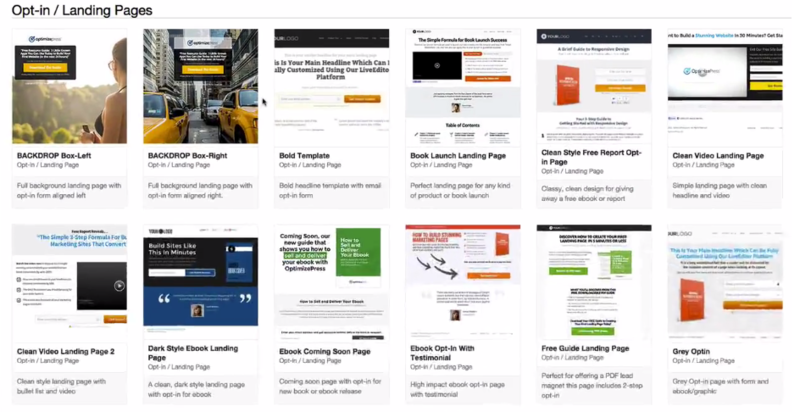 Landing pages are the bread and butter of any successful marketing campaign. They are choc full of customized content that speaks to your website visitors. This content speaks to your website visitors because it delivers the exact, specific information that your visitor was expecting. Landing pages are aligned with your marketing messages 110%, and always have one clear objective in mind: making your website visitors take a specific course of action. When it comes to creating landing pages in WordPress, there is a multitude of plugin options available, all of which have their distinct advantages. In this article, I’ll cover a selection of the most popular WordPress landing page plugins. A landing page is a stand-alone web page that has been designed with a specific goal or objective in mind. This goal or objective is usually focused on user actions, on motivating your landing page visitors to take action, to do something, to convert. Often, this something might be to request a quote, or sign up to a mailing list, or provide contact details in exchange for a freebie (like an e-book or a white paper or a template of some description). Landing pages are completely separate from your main website. And, in general, are completely without the main menu navigation that would otherwise tie the landing page to your website. The main reason for this lack of navigation is to give visitors less choice in terms of actions. With less options available, your landing page visitors are more likely to take the course of action that you want them to take, inching them closer and closer to your intended conversion. Because they increase your conversion rate. It really is that simple. In fact, according to Unbounce, online advertising campaigns that use a landing page usually sees a conversion rate increase of at least 25%. And, with some A/B Split testing, this figure can be even higher. The main reason that landing pages convert so well is because you can design, build, and draft compelling copy that specifically matches your advertisement. For instance, if you’re running a Google AdWords campaign for the ‘Most Creative Copywriter in Melbourne’, complete with an introductory offer of 20% off for new clients, then the landing page to which your users are directed (when they click on your Google AdWords advert) can reflect exactly that. Maintaining your advertising message is much easier when you are not directing people to your website homepage, where they might not be able to find the 20% discount offer they were expecting from your ad. Click-through: as you might have guessed, the first type of landing page is geared towards encouraging users to ‘click-through’ to another page. This process is designed to guide visitors further and further into the sales funnel. So, there may be a first click-through landing page that describes your products or services, then a second that highlights the benefits you have to offer, and third with social proof (reviews from other customers). Then, finally, you’ll close with a shopping cart page where your visitors can purchase your product or service. 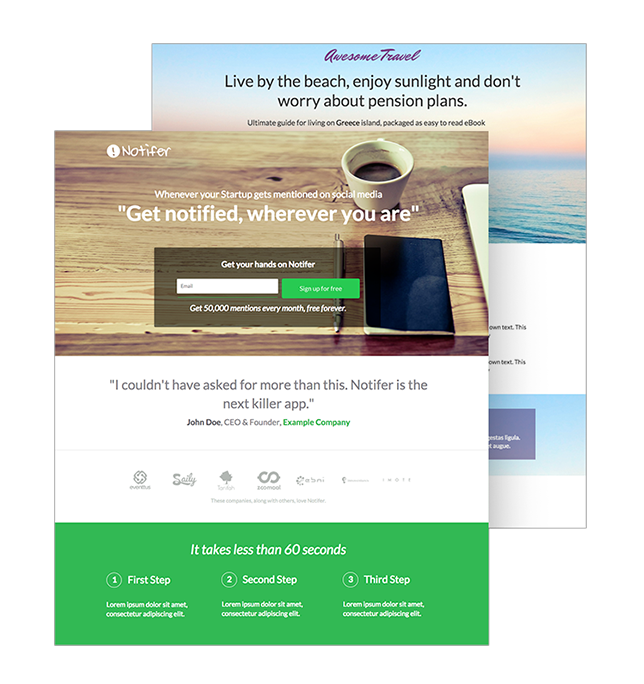 Lead Generation: this type of landing page takes a softer approach. Rather than encouraging visitors to buy, it encourages visitors to provide their contact details (name and email are usually sufficient), thereby giving you permission to market to them, and possibly sell to them at a later date. Now that we’ve established what landing pages are, and why you should be using them, let’s suss out the leading landing page plugins currently available. With OptimizePress, you can create just about any type of page for your WordPress website, including, of course, landing pages. OptimizePress comes in both a WordPress theme and as a plugin. 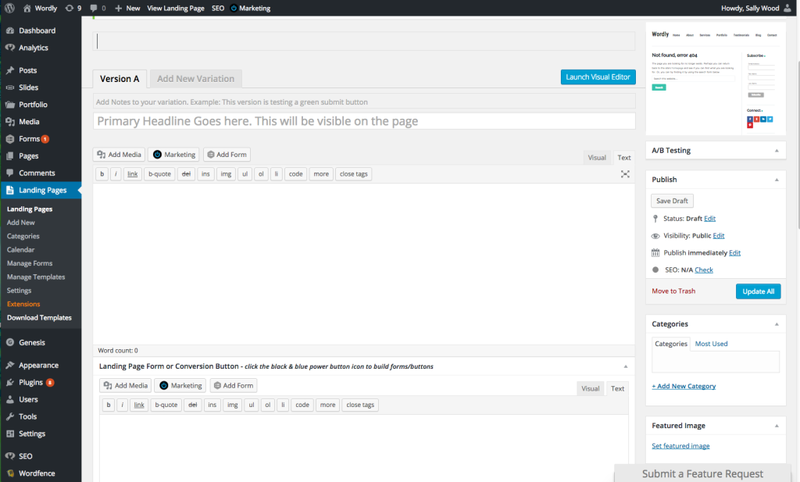 Real-time site building with its LiveEditor function. It is based on a very flexible, easy-to-use drag and drop functionality that is not unlike WordPress itself. 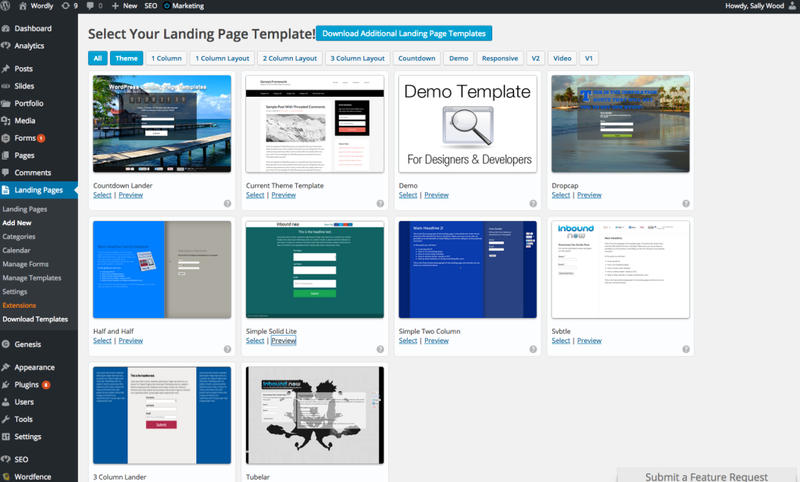 It offers over 30 different design templates. It comes complete with a comprehensive element library (including items like order boxes, testimonial blocks, and video and audio players). If you opt to use the plugin version of OptimizePress, then you can keep (and pre-populate) your new landing page with the same design look and feel as your main website. 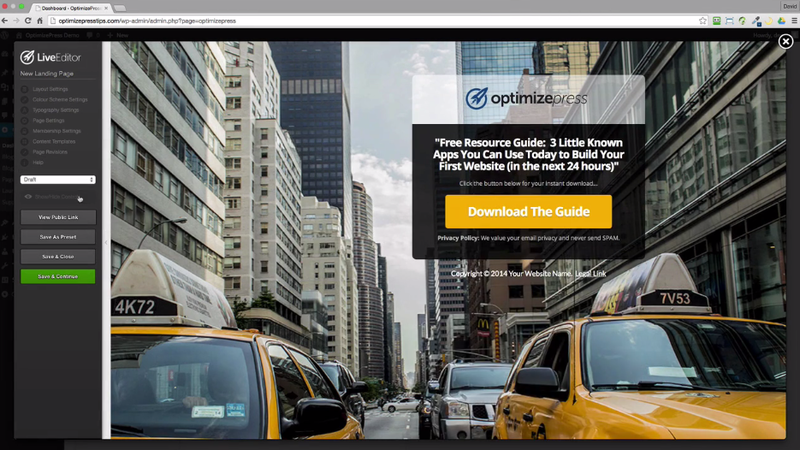 All pages built using OptimizePress are fully responsive and mobile ready. It integrates easily with a number of other platforms, including: Google Analytics, Google Content Experiments, Optimizely, MailChimp, Infusionsoft, and a variety of member subscription services. If you’re a developer, then you’ll need to purchase an OptimizePress Core license. This license is priced at $249 for 5 API keys. All of these are one-off fees (you then own the software for life), but the fee only includes 12 months worth of support. You can buy additional annual support for a reduced fee after the first 12 months. OptimizePress also offers a 30-day money-back guarantee if you’re not completely happy with the product. 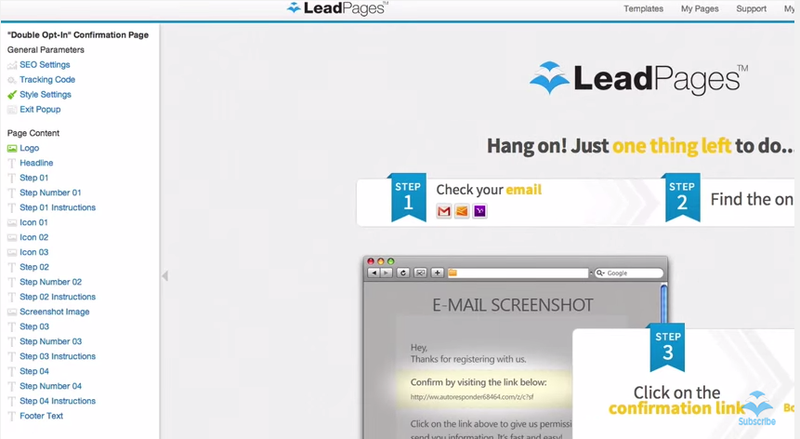 LeadPages isn’t just a WordPress plugin, it’s a standalone landing page optimization platform that offers a WordPress “Connector” plugin that makes adding your landing pages to your site a breeze. This platform’s biggest claim to fame is that it simplifies and automates the entire marketing process. Not only can you can create landing pages in the blink of an eye, but you can even set up a system whereby LeadPages automatically sends your new subscribers your free content. It offers a range of more than 70 free templates, which, for your browsing delight, are sorted according to opt-in success rates. LeadPages also allows you to create your very own templates if the existing library is not to your satisfaction. It has A/B split testing functionality built right into it. You can turn 404 error pages into landing pages using LeadPages. It is compatible and integrates quite easily with Facebook, making it easy to build landing pages that can be used in conjunction with Facebook marketing campaigns. It is also compatible with and integrates well with all major email software platforms. There are a range of reporting metrics built into LeadPages, including conversation rate analytics and statistics. With each of these packages, you can use LeadPages on an unlimited number of websites and domains. The differentiators are the features to which you are entitled to use. For a full list of features, visit: http://www.leadpages.net/pricing. This is the most popular landing page plugin in the WordPress plugin directory. It has had approximately 400,000 (all time) downloads and is compatible up to WordPress version 4.2.3, with the latest software update having been carried out in mid July 2015. It has a star rating of 3.6. This plugin is easy-to-use, particularly for non-developers, with its visual editor functionality that enables you to see the changes you’ve made to your landing page in real-time. It offers a range of reporting functionalities, including the ability to track your landing page conversion rates. Alongside reporting and tracking options, you can also clone your landing pages, enabling you to run A/B split testing to determine the most effective landing page design option. As with the other landing page plugins, you can either use your existing WordPress theme or choose from an extensive template library. Pre-populate forms with visitor information to increase conversion rates. It integrates with the WordPress Leads Plugins, allowing you to track the path that all of your landing page visitors take. For developers, this plugin offers a whole range of actions, filters, and hooks. And, if the functionality you’re looking for doesn’t already exist, the team behind this plugin is happy to undertake custom modifications. This plugin has had 35,000 (all time) downloads, and with a star rating of 4.1 is compatible up to the latest version of WordPress. It works a little differently to the other plugins in that you actually build your landing pages within Instapage. Once you’re finished, you select the ‘Push to WordPress’ option. All landing pages built using Instapage sent to WordPress are then published as a subdirectory of your main website. Another drag-and-drop interface that makes building landing pages simple and fast (it should take just three minutes according to their website). As expected, it integrates with all the usual suspects: email marketing platforms, analytics platforms, social media sites, membership subscription bases, and shopping carts. It offers A/B split testing functionality so that you can determine what’s working, and what needs to be on the chopping block. While the focus of this article is WordPress landing page plugins, I should also note that it is more than possible to use page templates to create WordPress landing pages. In fact, a number of WordPress themes offer a range of options and features that are perfect for conversion optimization. In addition, a number of WordPress themes come with specific, custom-designed landing page templates that work just as well as any of these plugins. The benefits that landing pages have to offer marketing campaigns is crystal clear, there aren’t too many other tools available that can increase conversions by a whopping 25%. So, regardless of which WordPress landing page plugin you opt for, the sooner you start building, testing and optimizing your landing pages, the sooner you’ll be reaping the rewards of your marketing investment. Sally has worked in marketing, communications, and PR for over 10 years. She is the Chief Wordsmith at Wordly: a copywriting and content marketing agency that works predominantly with WordPress powered websites.